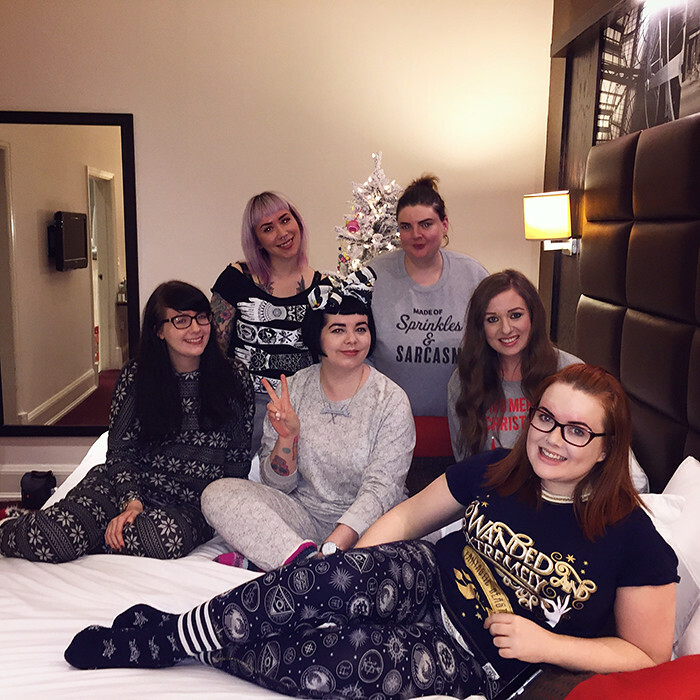 Our location for the evening was the beautiful Grand Central Hotel in Glasgow City Centre, which acted as the most luxuriously festive backdrop to our evening, and of course we were roomies for the night! Once we had settled into our rooms and got changed into our pyjamas we headed along to join Laura, Lynsay, Lori and Ayden in Laura's room which had been transformed into a magical sleepover wonderland, mainly thanks to the Treetopia Christmas Tree. Whilst tucking into some delicious sweet treats and beverages from Botonique, Rejuvanation Water and Tyrrells Poshcorn, we took it in turns to indulge in a little pampering from Emma at Benefit who was on hand to ensure all of our brows were looking sleek! It felt like such a treat to be sitting in lovely surroundings getting our Benefit Brows done whilst in our pyjamas, total bliss! A knock at the door meant only one thing, food! We were totally spoiled by the team at Grand Central Hotel who created such a delicious spread of appetisers for us to dig into. This included haggis and black pudding bonbons, olives, giant couscous, prawn parcels and an amazing butternut squash veloute. This was all washed down with what was our favourite tipple throughout the evening 6Somewhere Cider, we were all completely blown away by how delicious it was, and also by how sophisticated the bottles were, this would make such a great Christmas gift. 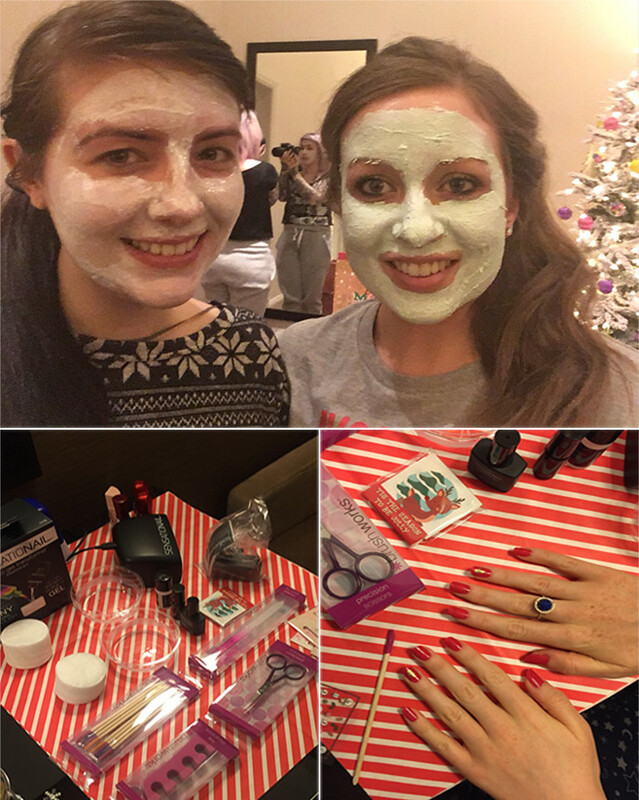 Soap & Glory had kindly provided some goodies for us to pamper with, is it even a sleepover without face masks? Sami chose the No Clogs Allowed Super Self Heating Deep Pore Detox and Lisa went for the Fab Pore 2in1 Facial Pore Purifying Mask. Both of which were fabulous, and provided much entertainment as Lisa's most definitely sparked memories of Mrs Doubtfire in that cream cake scene! 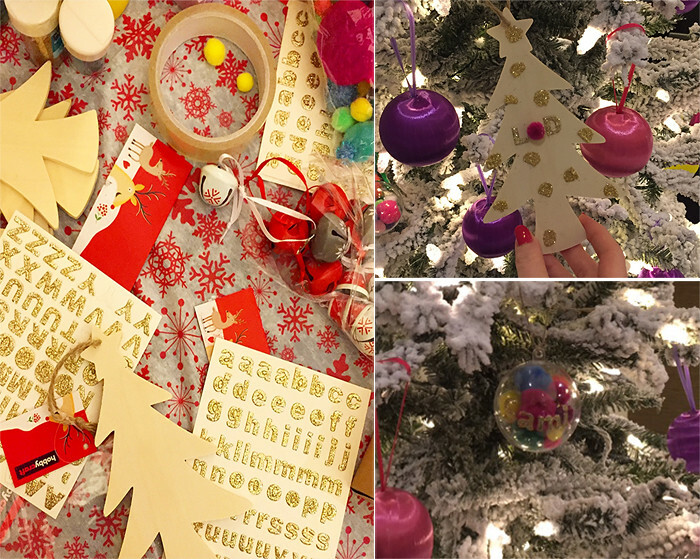 Feeling completely pampered and full to the brim with sugar we settled down to do some Christmas crafting with supplies from Hobbycraft, because who doesn't love a personalised bauble? 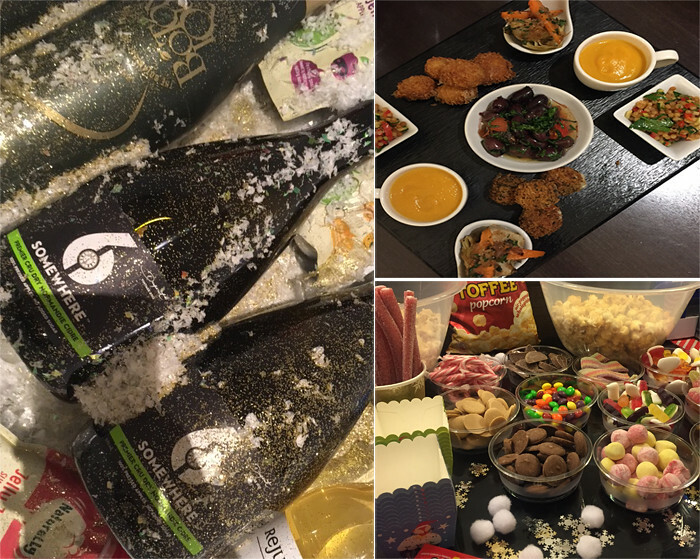 We don't think we'll be winning any awards for our artistic talents anytime soon but this was such a fun way to get into the festive spirit. We couldn't resist spreading the festive creativity to our nails! With some amazing options from Sensationail and Brush Works manicure tools we opted for some cute festive decals and christmassy red nails! Then finally all that was left to do was swap Secret Santa presents and enjoy some Mr Bean, the Christmas episodes of course, because what's a sleepover without some laughs?! Feeling full, pampered, entertained and very grateful we headed to bed for what was a wonderful nights sleep. The next morning we all met downstairs to enjoy a delicious cooked breakfast and plenty of coffee which was just what we needed to set us up for a morning of Christmas shopping. Huge thanks go to Laura, The Grand Central Hotel, all the amazing brands and the other ladies for their great company. We cannot think of a better way to kick start the festive period with such a lovely bunch of ladies, what's your favourite festive traditions?